In addition to our own payment options, which come with no financing fees, patients should consider third-party payment and savings options to help defray the cost of treatment. What is covered? 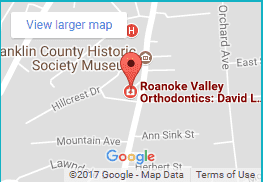 Exams, appliances, pre- and post-orthodontic treatment? Is there any type of treatment that is not covered? What is the coverage amount? Usually it varies based on what your policy offers and will help cover somewhere between 25 to 50 percent of the cost of treatment. Is there a waiting period before I can use my benefits? Is there an age limit on coverage? Often, the limit is age 18, although adult coverage is becoming more widely available. Is there an annual or lifetime maximum coverage amount? An important point to keep in mind: Your orthodontic care may not be covered if you begin treatment before your dental insurance starts. When you obtain your dental coverage, ask your human resources department or call your insurance company directly so that you can be clear about the coverage amount or any waiting period required before beginning orthodontic treatment. Most often, dental care will be part of an employer-sponsored benefits plan. 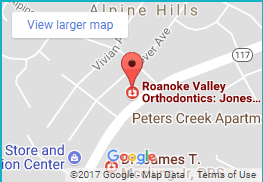 We’ve worked with several employers’ plans over the years, and many local companies offer plans with significant orthodontic coverage. Feel free to reach out to us or your employer for specific details on your plan. Savings plans are not considered insurance, but for a fee, you get discounts on orthodontic services. Consider this option if you have dental insurance but no orthodontics coverage or if you’ve used your maximum benefit. CareCredit is a third-party health care financing plan that will allow you to extend your payments beyond active treatment. Care Credit offers short- and long-term financing plans and can also be used for health care costs beyond orthodontics, giving you the option to consolidate bills. Health savings accounts (HSAs) are available to taxpayers enrolled in a high-deductible health care plan. Funds can be used any time. Flexible spending accounts (FSAs) are available to participants in employee-sponsored plans. Funds must be used within a prescribed period of time, usually 12 to 15 months. Both account types allow you to make regular, tax-deductible contributions and then use those funds to pay for health-related expenses, including orthodontic treatment. At the end of the year, the tax savings you see from your contributions can actually help defray the cost of treatment. Talk to your tax adviser or human resources representative for more information. 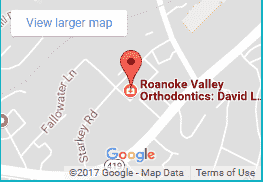 No matter what you choose, you can be sure that the staff at Roanoke Valley Orthodontics will work directly with your provider to ensure you get the maximum benefit available to you. To learn more about our payment plans and to learn whether orthodontic treatment is right for you, contact us today to request your free initial consultation.